Nico is the ultimate stud. He's oozing with masculinity, and his piercing eyes can melt any stone-cold heart (or make the ladies go gaga). Photos by Wilo Ybanez of Wilo Ybanez Photography. But Nico is more than just a hot bod. Born Melecio C. Nicolas Jr., Nico is a resident of Oppra Village, Kalunasan, Cebu City. He is twenty-three years old and had just completed his bachelor's degree in education major in secondary education last October 2010. Even before he finished school, he was already very active in modeling and pageants. In 2008 he bagged the Best in Formal Attire in Mr. Education-University of the Visayas. A year after that, he represented his alma mater for Mr. Physical Education and eventually won 2nd runner-up in University of the Visayas Mr. Intramurals. Nico could have rested on his laurels with these achievements, but he didn’t. He enhanced his leadership skills as an officer of the University of the Visayas English Major Association and a facilitator of UV-PESO. Currently, he's part of the official roster of Fashion Model Association (FMA) and a finalist of Mr. Ormoc 2011 which will be held on the 4th quarter. Nico in Mr. Ormoc 2011 official headshot. 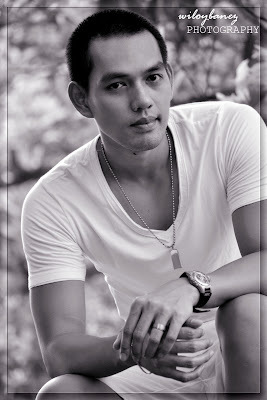 Nico is also vying for MR. ORMOC 2011 " Mr. Texter's Choice Award" . With his bad-boy persona, it would have been very easy for him to make any girl swoon, yet he doesn't take advantage of that. He's a Roman Catholic boy who values and honors his faith and a certified gentleman who still opens doors and pulls out chairs on dates. Girls should know, however, his personal life may have to take a backseat for a while, as he's setting his sights on gaining more experience and fun working for FMA. Most of all, just when men want to be the next Brad Pitt, John Lloyd Cruz, or Korean pop superstar, especially to get a good head start in fashion and modeling industry, Nico remains confident and comfortable of his own skin—absolutely proud of his Bisdak look and personality. We at Face of Cebu salute him for that.